Tina Turner was born Anna Mae Bullock in Nutbush, Tennessee in 1939. She spent much of her childhood in the small community on Highway 19 between Brownsville and Ripley, Tennessee — in the far Western half of the state. A farming community, not much more than a crossroad with a collection of homes and abandoned commercial buildings, the quiet town hasn’t changed much since the days little Anna would have walked “to town on Saturday.” The church where she learned to sing still exists. The Flagg Grove school that Tina attended has been relocated to Brownsville, restored, and opened as a Tina Turner museum. Could it be that the old Nutbush Gin Company seen in my photographs is the “gin house” she refers to in Nutbush City Limits? Most likely it is. 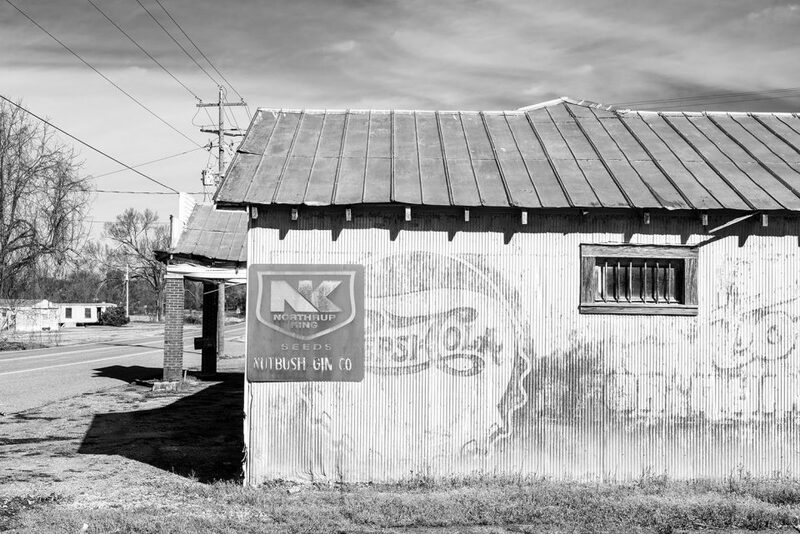 It’s prominently located in the middle of town on Highway 19, and the old fading Pepsi-Cola logo on the corrugated tin siding was used between 1904 and 1940, which means Tina would have seen it as a child. 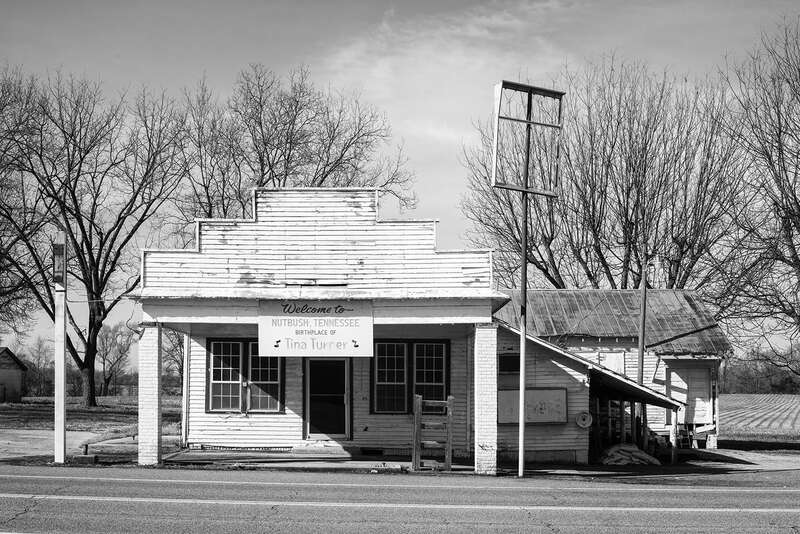 Black and white photo of vintage ads of the old Nutbush Gin Company, the “gin house” mentioned in Tina Turner’s song “Nutbush City Limits.” Click to buy a fine art print. 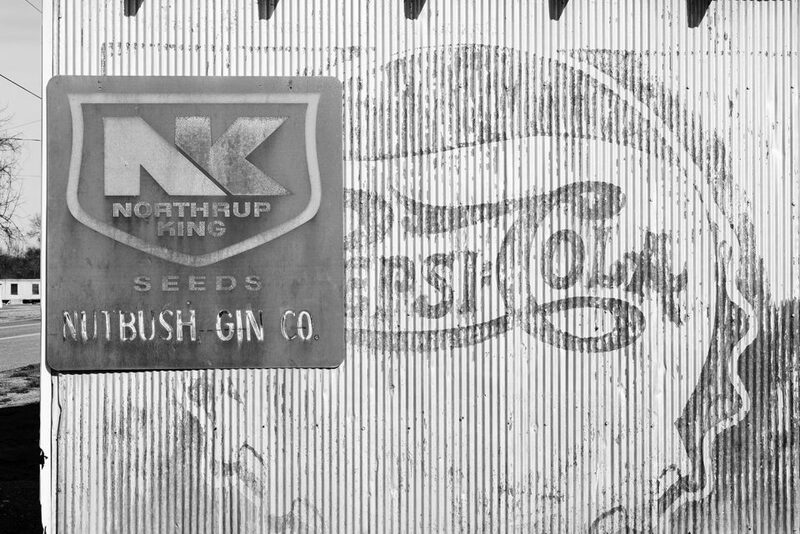 The old Northrup-King Seed Company was founded in 1896 and operated out of Minneapolis until it was acquired by another company in 1986. Vintage Ads on an Old Southern Cotton Gin Building. The fading Pepsi-Cola ad dates between 1906 and 1940. Click to buy a fine art print. The old Flagg Grove School where Tina attended school in the 1940s was named after Benjamin B. Flagg, her great uncle and older brother of her grandfather. The structure was built in the late 1800s and has recently been relocated to an exit on I-40 in Brownsville, Tennessee. It was restored with the support and cooperation of Tina and now operates as a nice museum to Tina Turner. Admission is free. Exterior wall of the old Flagg Grove School before renovation, where Tina Turner attended school. The Flagg name comes from Tina’s great uncle. 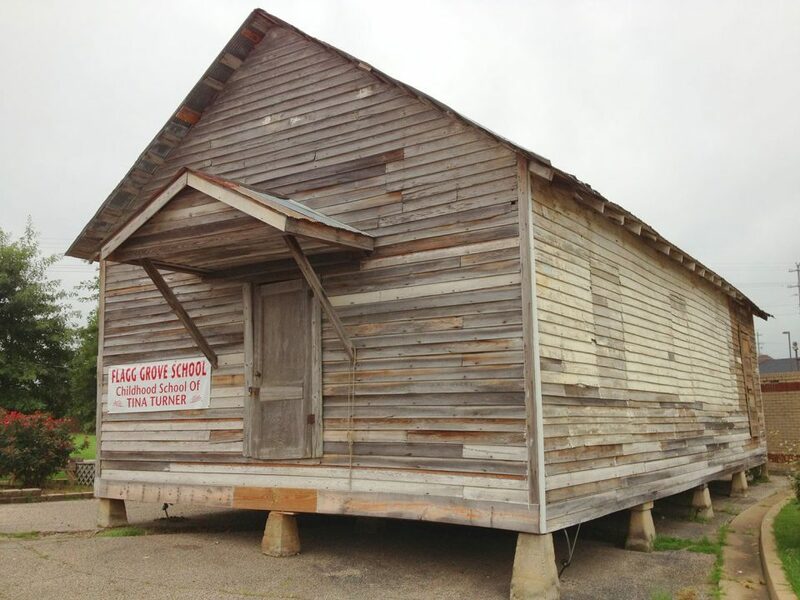 Picture of the old Flagg Grove School, which has been relocated to Brownsville, Tennessee and has since been renovated and converted into a Tina Turner museum. There’s nothing extraordinary about Nutbush. It would be easy to drive right through without slowing down or even taking a second glance. Nutbush is proof that extraordinary people can come from any place and any background. Abandoned Storefront on Highwy 19 Nutbush, Tennessee. 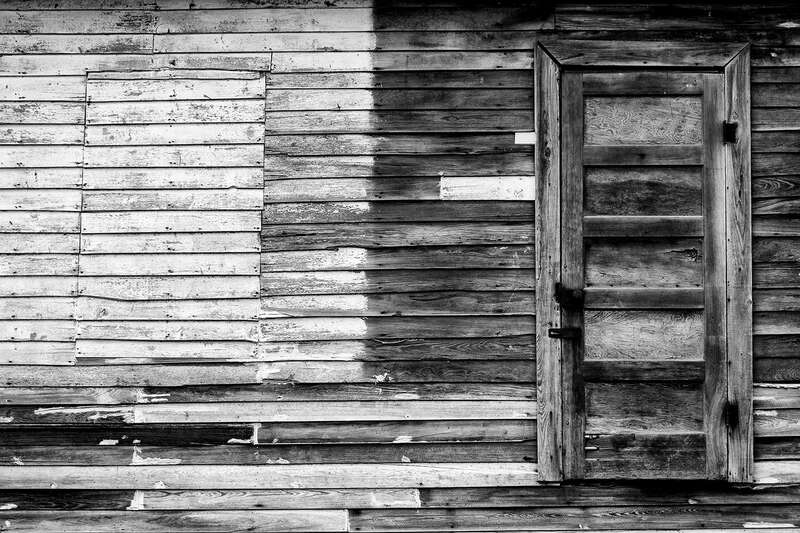 Black and white photograph by Keith Dotson. Click to buy a fine art print. 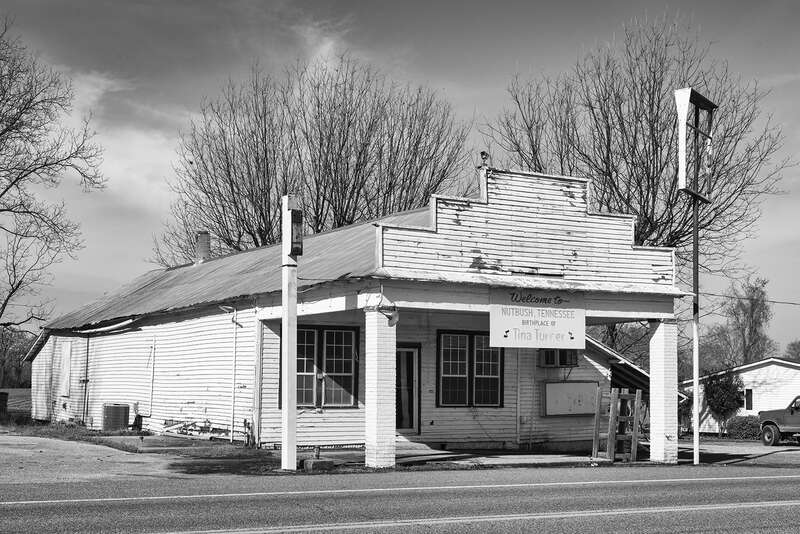 Black and white photograph of an old clapboard store building located on Highway 19 in Nutbush, Tennessee. Click to by a fine black and white print. Ike and Tina performing Nutbush City Limits in Germany.